Bhang is an edible form of Cannabis and a drink is prepared from it during Shivratri. Bhaang is made from the leaves of Hemp and is considered the least intoxicating of the cannabis preparations in India. But is capable of giving a high for the entire day and is sold openly during Shivratri and Holi festival. The drink is made by grinding the leaves and various spices are added to it. It is also known as Cannabis Sativa, Ganga or weed or pot. The dried plant or leaves is soaked in water and then it is cleaned and finally grounded on a stone slab to get the paste which is taken along with Badam milk or any sweet preparation. Bhang is considered as a medical preparation in North India. Some people consider it as an auspicious plant. It is believed that Shiva drank Bhaang after the Samdura Manthan episode mentioned in the scriptures. Shiva had to consume the poison Halahala, to save the universe – Halahala was the poison that came out during the churning of ocean. The consuming of Halahala caused intense heat inside Shiva. 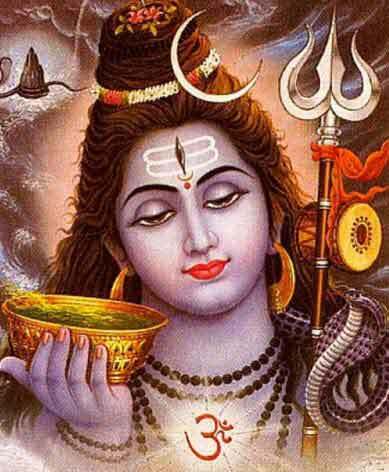 To cool Shiva down, Devas prepared Bhaang and gave it to him.